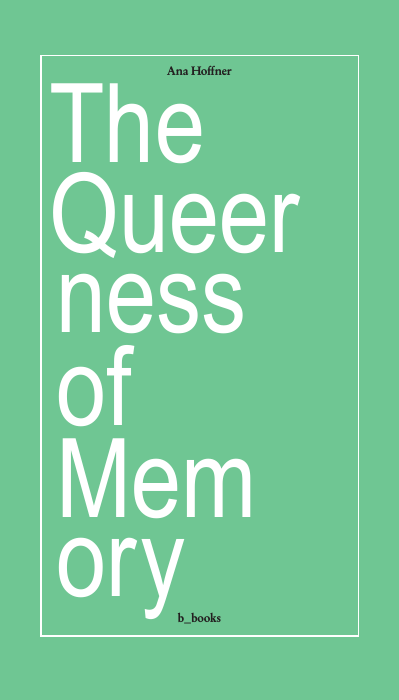 The Queerness of Memory (Berlin, b_books, 2018) proposes ways of remembering a past that cannot be clearly seen, one which is loaded with affective confusion, historical disorientation and the desire to return to that which still hurts. 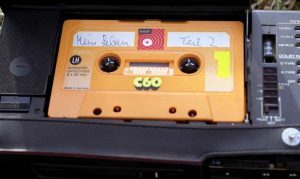 Ana Hoffner’s series of art works and writings that are assembled in this book explore the politics of trauma and post ’89 memory through the lens of queerness. How to give a post-memorial account based on non-biological transnational kinship relations? 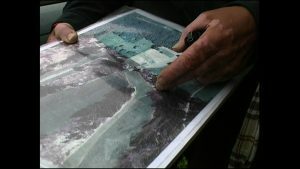 How to interrogate images of war from a distance? The author challenges the notions that fantasy and memory are exclusively imagined or remembered scenarios: facing the trauma of others, when it is not directly experienced but transferred through documents, reports or narratives, requires further processes of dis/identification and performative practices like retelling, rereading, restaging, looking or imagining. By experimenting with techniques that stem from the reservoir of unconscious visual impressions, The Queerness of Memory opens up questions about the embodied structure of memory, refusing the supposed dichotomy of war and peace time. Ana Hoffner is engaged in an art practice that excavates moments of crisis and conflict in history and politics. She* holds a PhD in Practice from the Academy of Fine Arts Vienna. Her* work has been shown in Kunsthalle Vienna, Künstlerhaus Graz, Salzburger Kunstverein, Künstlerhaus Büchsenhausen, Museum Moderner Kunst Klagenfurt, Galerie für zeitgenössische Kunst Leipzig, Museum of Contemporary Art Banja Luka, Stedelijks Museum s’Hertogenbosch, City Art Gallery Ljubljana, HDLU Croatian Association of Artists Zagreb, Kunstraum Bethanien Berlin and Belgrade Cultural Centre. Hoffner’s films have also been shown at international festivals such as Videoex Festival Zurich, Brussels Womens Film Festival, City of Women Ljubljana and Feminist and Lesbian Film Festival Paris. Lives and works in Vienna. Informe 1999-2016 is a graphic and statistical testimony of what 283,366 victims of violence in Venezuela mean, counted one by one, year by year. More than “a book”, it is a work which summarizes a problem – artistic and social – coherently reasoned in the visual aspect, in the conceptual and in the ethical. The performative methodology – that infamous count of the dead – reproduces the unstoppable mechanics of crime, line after line, folio after folio, up to a volume of eighteen pages of numbers, that are people without names, omitted, disguised, deliberately suppressed from official reports. At the end of the book, when there is no more to tell, there is only one black plastic sheet -forensic allegory- displayed as a common, untouched and undifferentiated shroud; perhaps a lustful envelope to receive those kilometers of bodies absent in identity who were replaced by a dark number. The proposal combines the industrial (plates, offset printing, cutting, bending) and the crafts (screen printing, binding, stitching, die-cutting), technical aspects that also involve a reflection on the artistic process and the status of the book as an aesthetic and communication object. Teresa Mulet studied design at the Instituto de Diseño Neuman in Caracas and philosophy at the Universidad Central de Venezuela, and she was a founding member of the Escuela Prodiseño in Caracas. 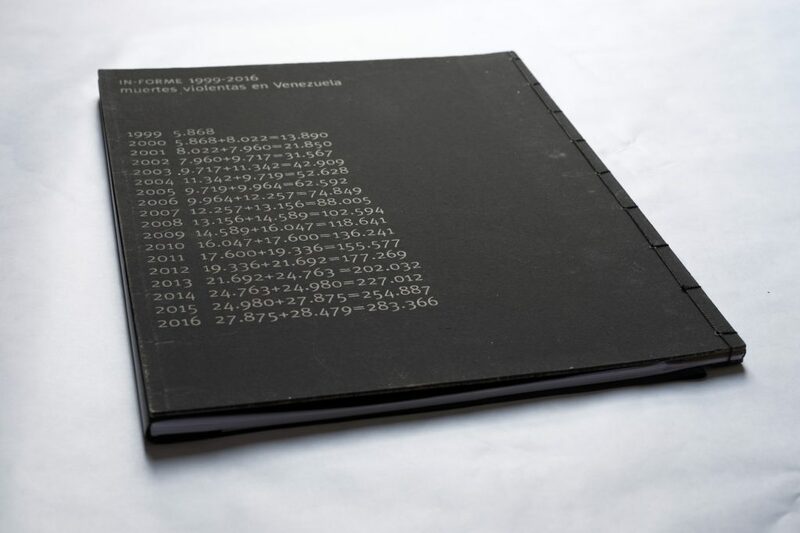 The problem of violence in Venezuela has been the central topic of her latest projects: artist’s book Informe 1999-2016 and installations Ejercicio volumen and Ejercicio contable (2013-2017). 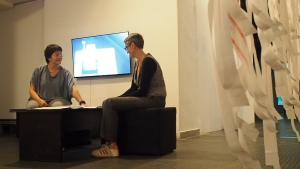 These projects have been presented in her individual exhibitions in Caracas and Barcelona and in collective exhibitions such as Caracas reset (Paris, 2018), Poli(criti)ca (Lima, 2018), ARCOmadrid2018, Between utopias and realities (Vic, 2016) and Translocations, temporal experiences – artistic practices and local contexts (Barcelona, 2015). Lives and works in Barcelona and Caracas. Angelika Levi is a filmmaker and researcher who works with a range of media, particularly film material, video, audio, photography and text. She studied at the German Film and Television Academy in Berlin. From 1985 on, her works has been awarded and presented at international film festivals. Her first full-length documentary My Life Part 2 won several prizes and had its premiere at the Forum / International Berlin Film Festival (2003). Children of Srikandi, a collaborative film project reflecting on authors’ lived experience as queer women in Muslim Indonesia, had its premiere at Panorama / International Berlin Film Festival (2012) and won several awards. Her latest work Miete Essen Seele Auf was shown in the Haus der Kulturen der Welt, Berlin (2015). Levi also works as a script and dramatic advisor, lecturer and film editor. Lives and works in Berlin. 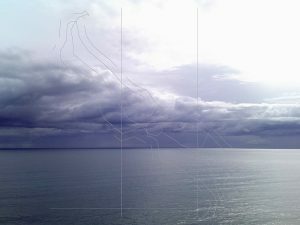 Angela Melitopoulos is an artist and researcher in the domain of time-based arts, video- and sound-installations, visual essays and documentaries. She studied fine arts at the Art Academy Düsseldorf with Nam June Paik and holds a PhD in Visual Cultures from the Goldsmith University in London. Currently, she is a professor at the Media School of the Royal Danish Academy of Fine Arts in Copenhagen. Her installation Assemblages, co-realized with the philosopher Maurizio Lazzarato, triggered a series of debates around Félix Guattari’s notions of the role of machinic animism in human subjectivity. From 1985 on, her works have been awarded and presented at numerous international video and film festivals (Berlinale, Film and Videofestival of Locarno, Filmfestival Rotterdam, to name a few), exhibitions and museums such as Whitney Museum New York and Musee d’Art Moderne Montreal, among others. 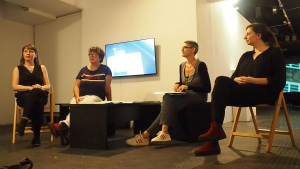 Her latest project Crossing was exhibited at Documenta 14 (Athens and Kassel, 2017). Melitopoulos organizes international seminars, initiates and engages in collaborative and activist media projects. Lives and works in Berlin. Lana Čmajčanin is engaged in an art practice that has a strong reference to a specific place, the political framework of war and post-war situation in Bosnia-Herzegovina, and more widely addresses the issues of geopolitical mapping. She holds a MFA in Sculpture from the Academy of Fine Arts Sarajevo. She is currently a PhD candidate at the Academy of Fine Arts Vienna. 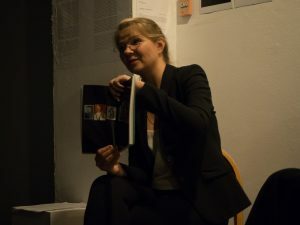 She has exhibited in numerous galleries and museums across the world and her projects were shown, among other places, at Zhejiang Art Museum, Hanzhou; Guangdong Museum of Art, Guangzhou; Museum of Modern Art, Ljubljana; Stedelijk Museum Amsterdam; Garage Museum of Contemporary Art, Moscow; Gabrielle Senn Galerie, Vienna; Galerie du Jour agnès b, Paris; Centre for contemporary Art, Architecture, Society, Stockholm; NGBK – Neue Gesellschaft für Bildende Kunst, Berlin; CCA – The Center for Contemporary Art, Tel Aviv. Lives and works in Vienna and Sarajevo. 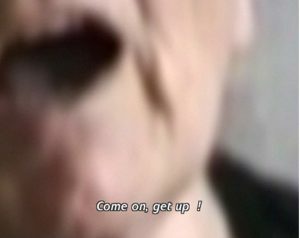 Yara Haskiel experiments with found footage, new media and performative formats through video essays and multi-screen installations. She studied Experimental Film and Art and Media at the University of Arts in Berlin and Hamburg. She was part of the Program of Independent Studies at Museu d’Art Contemporani Barcelona (MACBA). Haskiel holds a specific master degree in Museum Studies and Critical Theory from Universitat Autònoma, Barcelona. 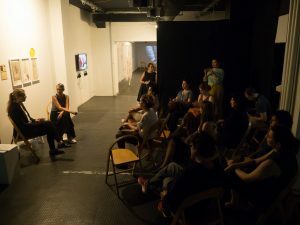 She presented her works at international film festivals and exhibitions, including the gallery Àngels in Barcelona (2015), Dimitria Festival in Thessaloniki (2015) and Athens Biennale (2016). In the past she held lectures and screenings at the University of Thessaly, Alice Salomon University Berlin, University of Perugia, the University of Vienna and at the Centro de Fotografía y Medios Documentales (CFD) Barcelona. Lives and works in Berlin.